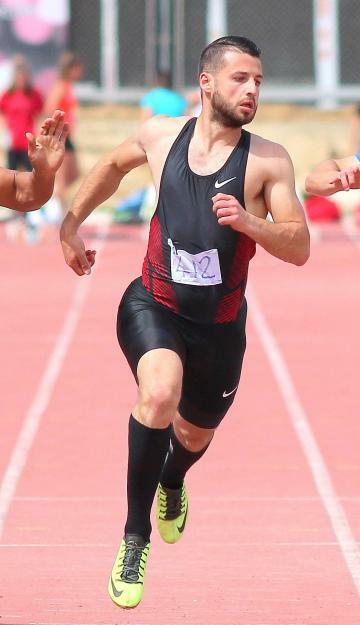 Luke Bezzina placed third in his 100 metres heat at the Olympic Games early this afternoon, but it was not enough for him to make it to the first round proper of the competition. Running in the second heat, the Maltese sprinter crossed the finish line in 11.04 seconds. His time was 0.37 slower than his personal best of 10.67 he set at the Marsa athletics track earlier this year and 0.55 seconds off Kevin Moore’s national record of 10.49. Hassan Saaid, of the Maldives, won the race in 10.43 seconds ahead of Tonga’s Siueni Filimone who clocked a season-best time of 10.76 seconds. In the overall classification of the preliminary round heats, Bezzina placed 12th from 21 athletes.